Taking advantage of opportunities to get hands-on research experience can improve students' standing in the job market. “Playing with electronics and building stuff — it’s what I do for fun and hopefully it’s going to be my career,” Brock says. 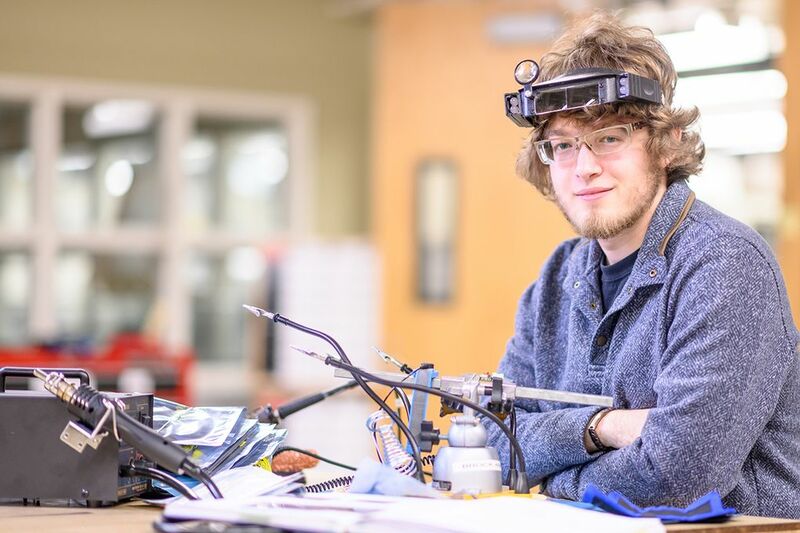 For engineering students like Brock, having hands-on research experience can improve their standing in the job market, says John Crepeau, associate dean for undergraduates in U of I’s College of Engineering. Access to undergraduate research clinched Brock’s decision to come to U of I. During a campus visit, he toured U of I’s engineering labs and met with a number of faculty. “It was a really friendly experience, and it was really nice being able to say, ‘OK, this is the person I’m going to interact with for the next four years,’” Brock says. 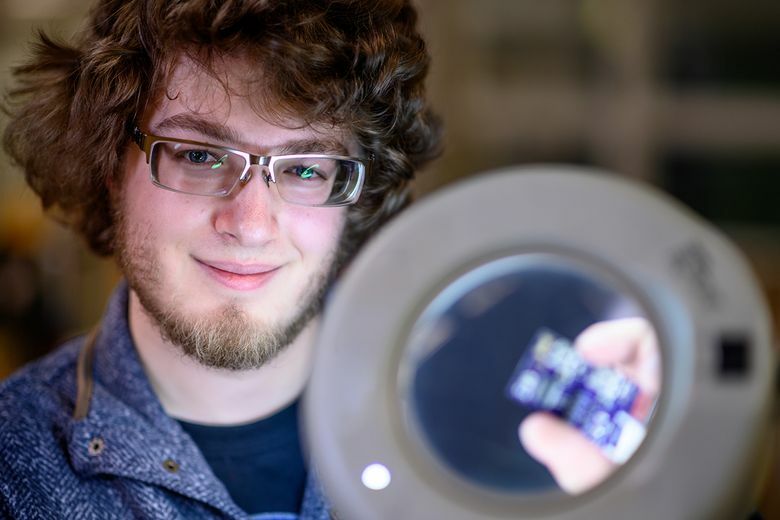 He threw himself into his research from the beginning, even participating as a freshman on a project to design a refueling device for fuel cell cars. During a campus presentation, SpaceX co-founder and U of I alumnus Tom Mueller wanted to know more. “He came and stopped and talked to me for probably a solid half hour about the project. He was interested in it because SpaceX was trying to do a similar thing for generating fuel on Mars,” Brock says. “We’re kind of going from like a very basic text messaging plan to an internet connection,” Brock says. The University of Idaho is Idaho’s land-grant, national research university. From its campus in Moscow, U of I serves Idaho through educational centers in Boise, Coeur d’Alene and Idaho Falls, nine research and Extension centers, plus 42 county Extension offices.